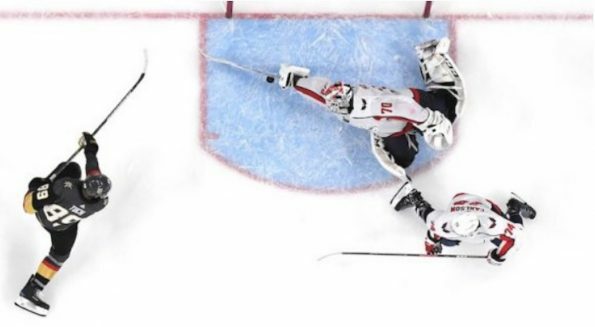 If the Washington Capitals go on to vanquish the Vegas Golden Knights and win their first ever Stanley Cup sometime over the next two weeks, the save made by Capitals goalie Braden Holtby in the dying minutes of Game 2 might just become the most famous play in franchise history. After losing Game 1 of the Stanley Cup Finals by the score of 6-4, the Capitals bounced back in Game 2, taking a 3-2 lead into the third period. However, as the clock started to wind down, the Golden Knights applied more and more pressure in an effort to tie the game. With two minutes left on the clock, it looked like the Knights would be rewarded for their efforts. A lucky bounce off the glass behind the Capitals’ goal led to a golden opportunity for Vegas. Alex Tuch took a pass in the slot from teammate Cody Eakin and fired a hard shot at the wide-open net. The game wasn’t tied, though, because Braden Holtby dove across the crease and made an absolutely unbelievable stick save. 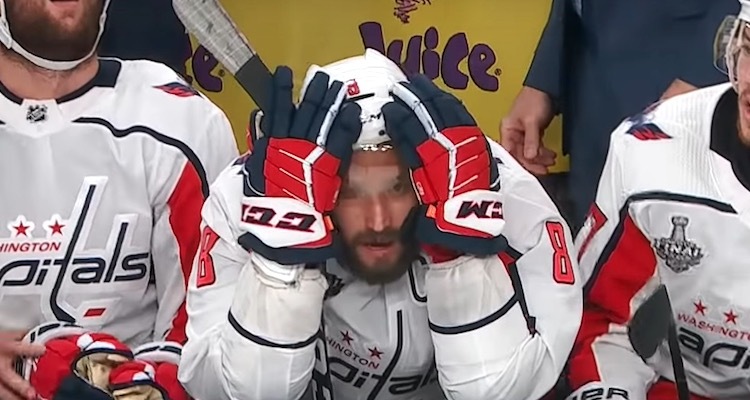 If that puck had gone into the net, the Capitals would have been deflated, the Golden Knights would have had all the momentum going into overtime, and they may very well have a 2-0 series lead right now. Instead the teams are heading back to Washington with the series tied at one game a piece. If the Caps go on to win the Cup, their fans will point to Holtby’s miraculous save as the exact moment the hockey gods finally turned the tide in their favor.